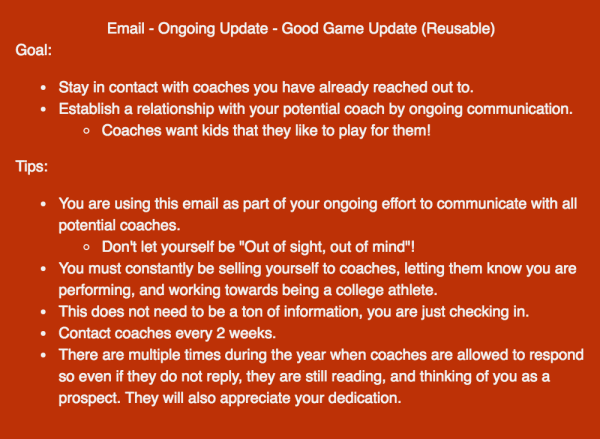 To use this template, copy and paste it into the email to a coach, then replace all ( underlined) items with your information, and fill in the blanks as well! Do not copy everything word for word, coaches appreciate originality, it will help you stand out! I wanted to send you a quick update on my progress. (Summarize what happened). 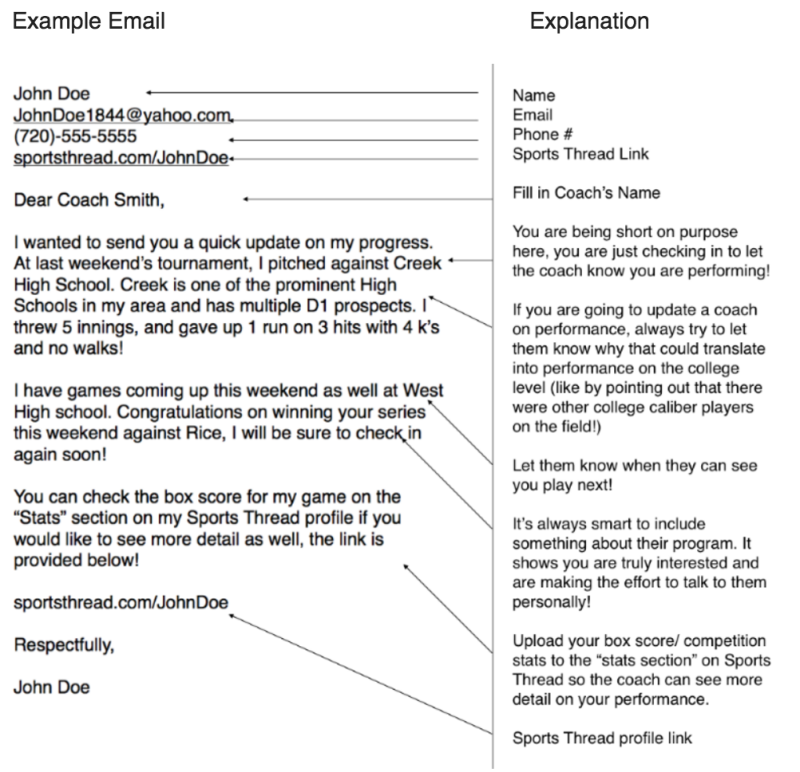 You can check the box score for my (competition) on the “Stats” section on my Sports Thread profile if you would like to see more detail as well, the link is provided below!